Get creative with this cute toddler tee! 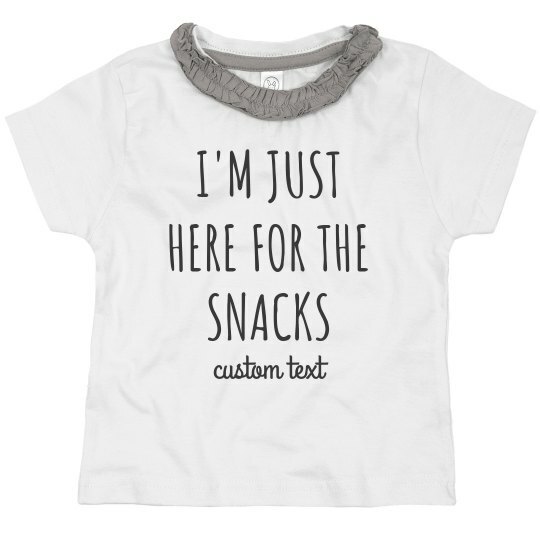 Kids are all about snacks, so get your little girl this perfect shirt as a gift! You can personalize it for her by adding your own custom text at the bottom. Whether it be her name or favorite treat, she will be sure to love it!